Take a walk with the dinosaurs at the Garden Park Fossil Area, located just north of Cañon City on Shelf Road. This 3,600-acre area has been producing significant dinosaur fossils for nearly 125 years. Most of the Jurassic dinosaurs on display at Smithsonian’s Museum of Natural History are from this area. Three Stegosaurus skeletons, including Colorado’s state fossil, are also from this area. For a fun and educational afternoon, explore some of our museums. 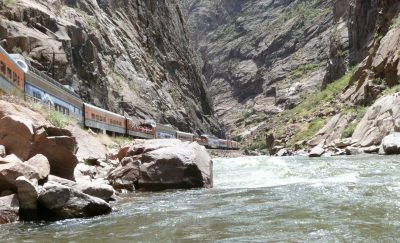 The Royal Gorge Dinosaur Experience offers a hands-on approach to learning about the region’s dinosaur history. The Royal Gorge Regional Museum and History Center is housed in the city’s original 1920s municipal building. 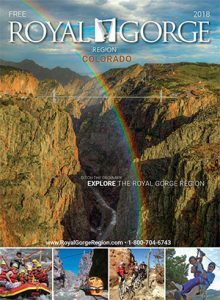 The rich history of the Royal Gorge Region can be explored here and the History Center is a genealogy destination with information on over 4,000 regional families. The Dinosaur display provided an interesting glimpse into the life of the dinosaur. 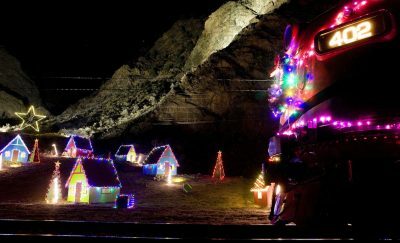 Enjoy your evening dining at one of the wonderful restaurants in Canon City followed by a delightful stay in one of the local B and B’s.